You Save $6.45 by purchasing this kit rather than buying the items separately. 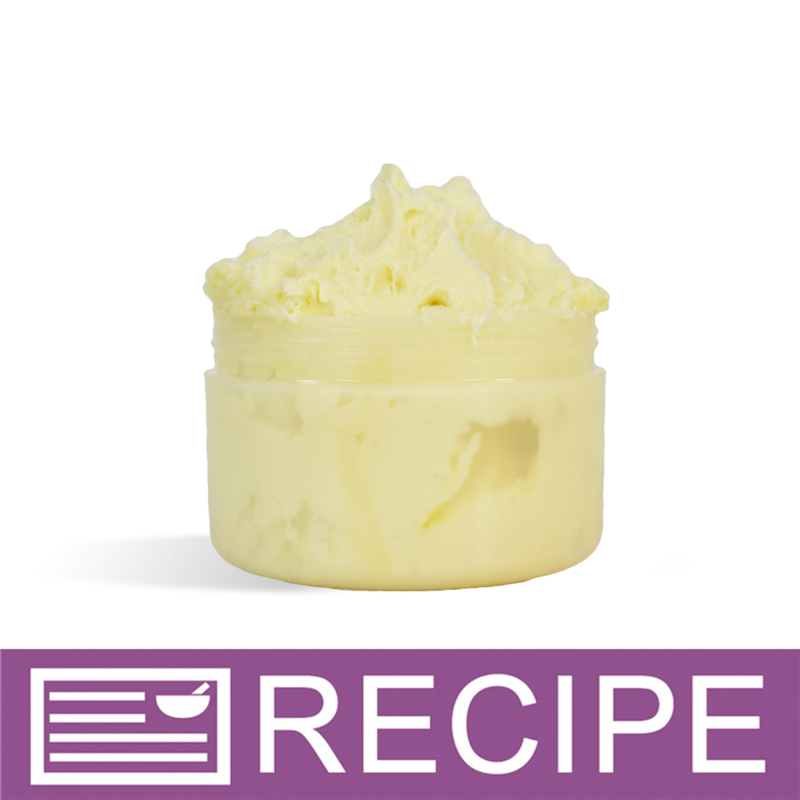 Macadamia Butter, Tucuma Butter, Hemp Seed Oil, Vitamin E, Tapioca Starch, Fragrance. COMMENTS: I was excited to work with new butters and oils. Being from Colorado, I can only say that it is difficult finding the right moisturizing butter. This is simply amazing. I love this recipe!! Only part which bothered me is the containers do not hold 3.75 oz. The most is 2.75. Needless to say I did not have enough containers but not a problem because I had other styled containers available. Love that they are airless pumps, which I believe will be a common purchase for me. If the kit continues to use these containers I would advice about 12 or possibly 13 containers. Otherwise, love this product. • The number of airless pump containers.